1-Heat the oil in the pan and add the chopped onions, ginger and garlic. 2- When sautéed, add the mixed vegetables and spices, stir. 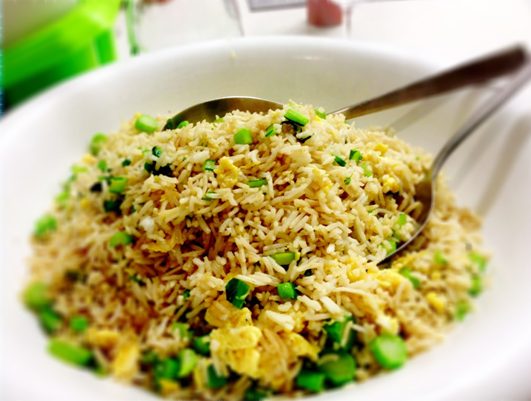 4-scramble the eggs around, when cooked, add the rice. 7-Wait till iftar to eat! make duas! Then start with bismillah. Thank Allah for His favours and for the food, and for the ability to cook and eat it.